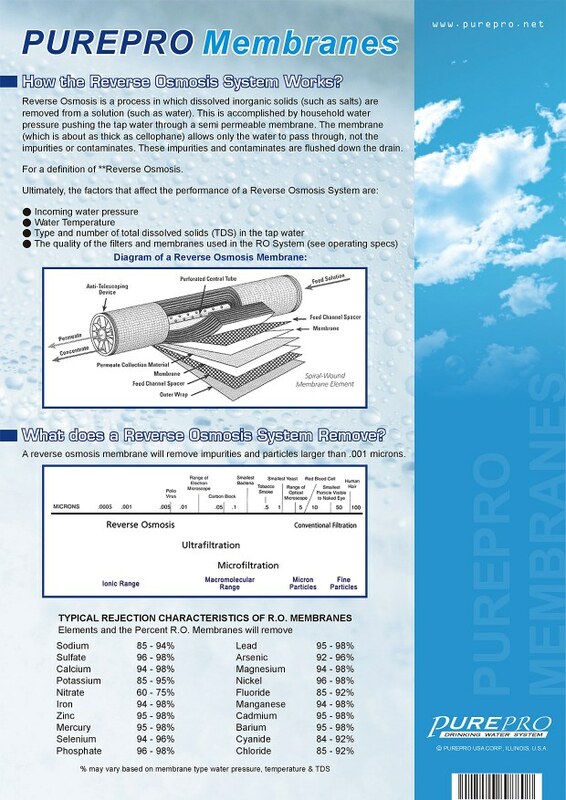 PurePro is proud to introduce our newly designed residential membrane elements and our newly developed 200GPD TFC membrane. 200GPD Membrane is powerful, fast and excellent efficiency. 200 Gallons Per Day Membranes are now available in residential sizes. Designed to perform in operating conditions similar to most standard under-the-counter home RO units, the PurePro TW30-1812-200 forms a tight fit in most standard residential housings. *Note: Performance specifications based on 250 ppm tap water, 80 psi applied pressure, 75 feed water temperature, feed water pH 7-8 and 15% recovery.